I needed a new pot for my 1973 Thomas Organ Company Sepulveda California made Cry Baby, and this one is an exact replacement. I soldered the three connections, adjusted the travel, and it sounds superb. It was pretty simple to install. Just cut the leads off the old pot but, take a picture or draw a diagram so you can remember when you strip and solder them back on your new pot. It works as good as the old one did but it does not make the scratchy noise now. I recommend it. I gave it five stars. Perfect replacement for a scratchy pot. After numerous cleanings of the original pot from my vintage Crybaby wah, the pedal sounded scratchy again right after cleaning. I considered the high-priced replacements and was reluctant to replace it at all. To my ears, this pot maintains the full throw and range of the original without losing any bass or treble at a reasonable price. Definitely worth the money. I had an old Dunlop Crybaby which had a bad pot.... I didn't want to spend much money and found this one for eight bucks and change. It came fast and I soldered it in quickly. Sounds a bit thin but I won't use it much so for the money I think it's OK; If it sounded better I might use it more but that may be a problem unrelated to the new pot, so.... Order one and try it. If you don't like it, it's only 8 bucks. I have an early 70's Thomas Organ patent pending Crybaby Wah Wah. 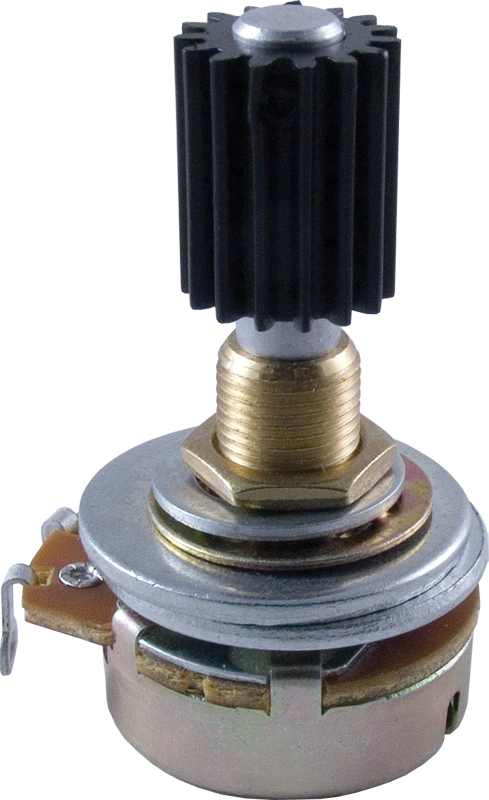 This potentiometer was a drop in replacement and sounds great! A definite buy if your pedal has stopped Wah Wahing. Asked by Anonymous on October 7th, 2016. Asked by Anonymous on September 4th, 2018.